Shirley Huston-Findley, the director of the show and a professor of theatre and dance, also explained that the play was selected because it had an interesting script that allowed students to “gain insight into a variety of historical time periods and cultures.” Additionally, this complex play pushed students to expand their abilities as actors, designers and stage managers. “The Golden Age” by Australian playwright, Louis Nowra, was first published in 1985. The play delves into the effects of colonization and the use of the concept of “civilization” in justifying prejudice and war. Set predominantly in a remote part of Tasmania, the production centers on a group of outcasts. Two Australian men encounter the group and their interactions drive the plot. World War II serves as the historical background to the show, providing another layer of complexity to the examination of war and colonization. 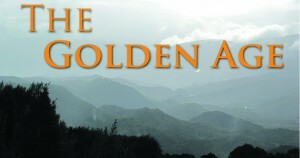 “The Golden Age” serves as an interesting opportunity for two of the show’s seniors. Kent Sprague and Chelsea Gillespie explored concepts and methods related to their I.S. Sprague is the lighting designer for the production. This past summer, he had the chance to travel to Australia through Copeland Funding to prepare and conduct research for his role. His travels allowed him to bring back visuals such as photographs and sounds that will be featured in the show, including the image on the show’s poster. Gillespie, the show’s stage manager, used the show as a way of exploring different methods of stage management. The play opened last night and will run through Saturday. All performances begin at 8:15 p.m. in Freedlander Theatre. Tickets can be purchased at the box office in the Freedlander Theater. For College of Wooster students, the tickets are free, but still need to be reserved in advance and can be picked up at showtime. For senior citizens, staff and faculty, tickets are six dollars. The general admission price is $9.